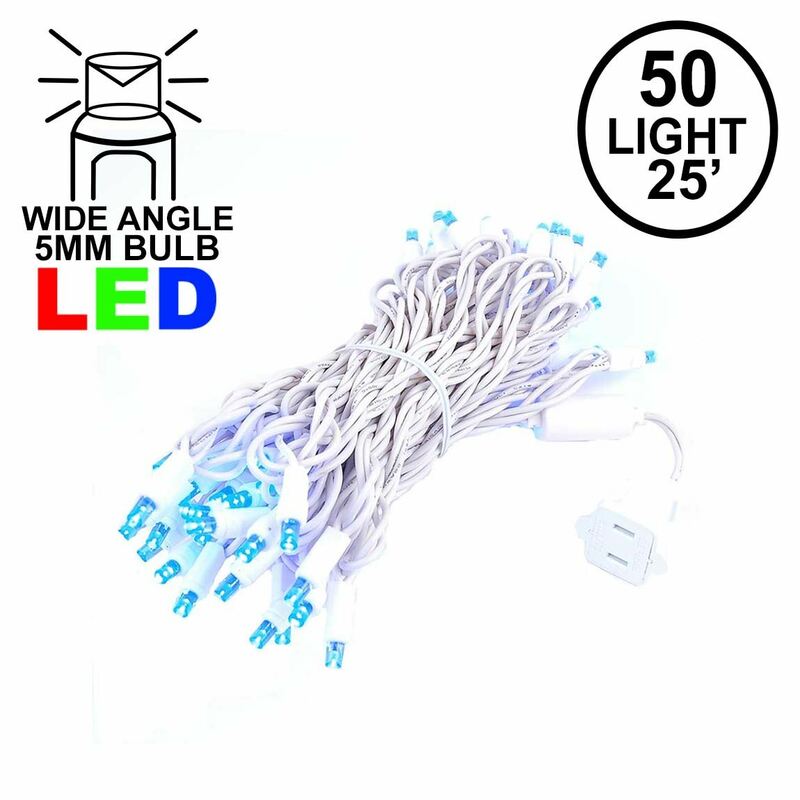 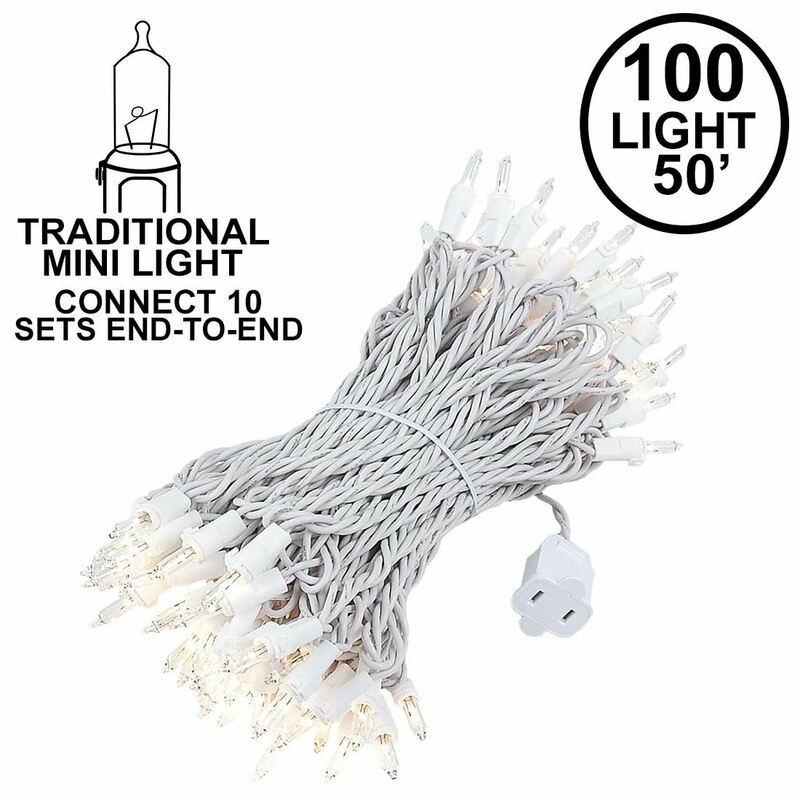 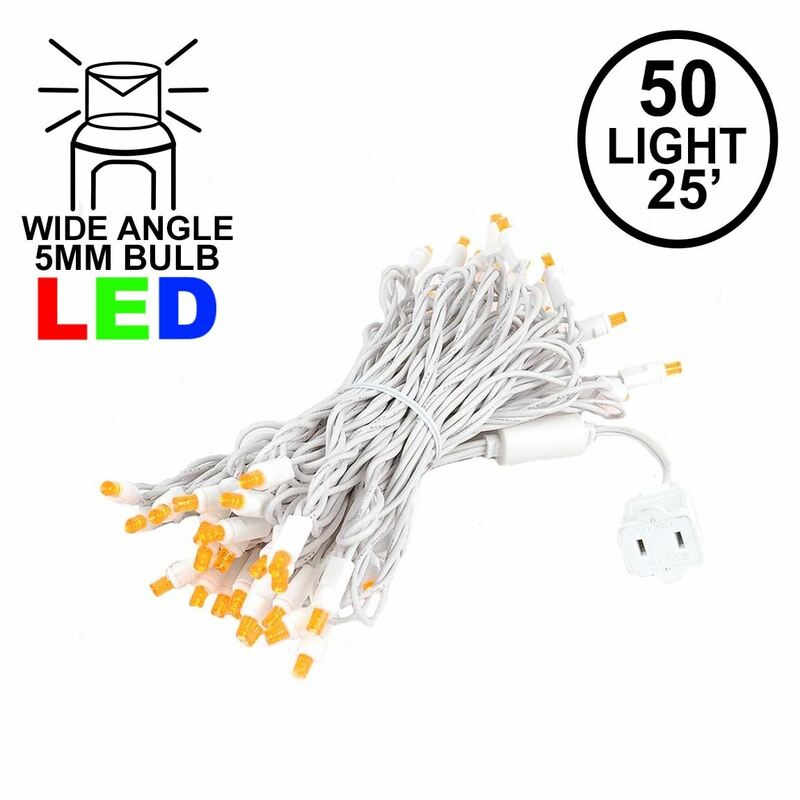 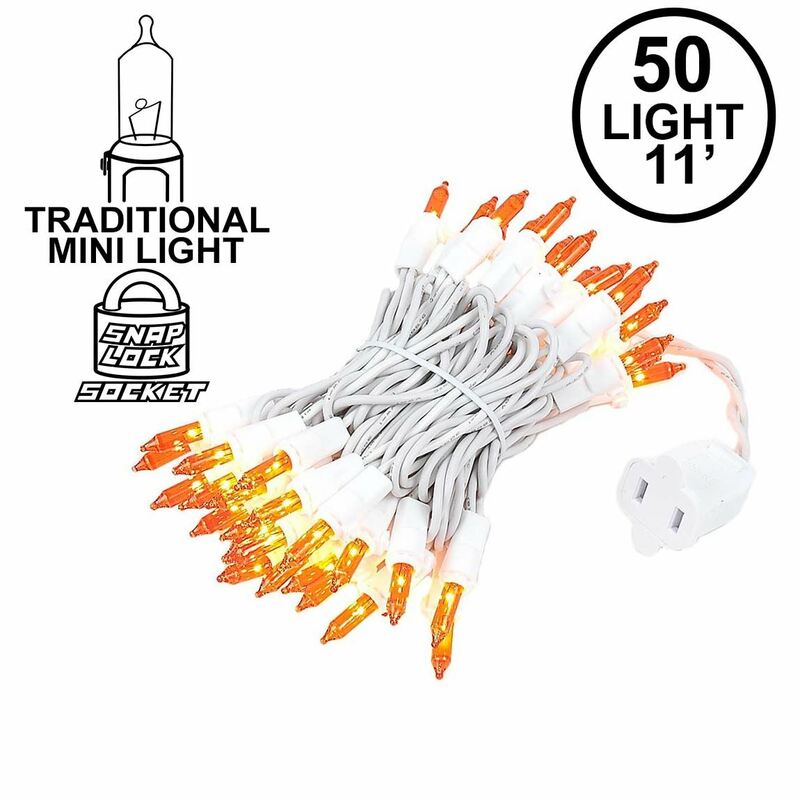 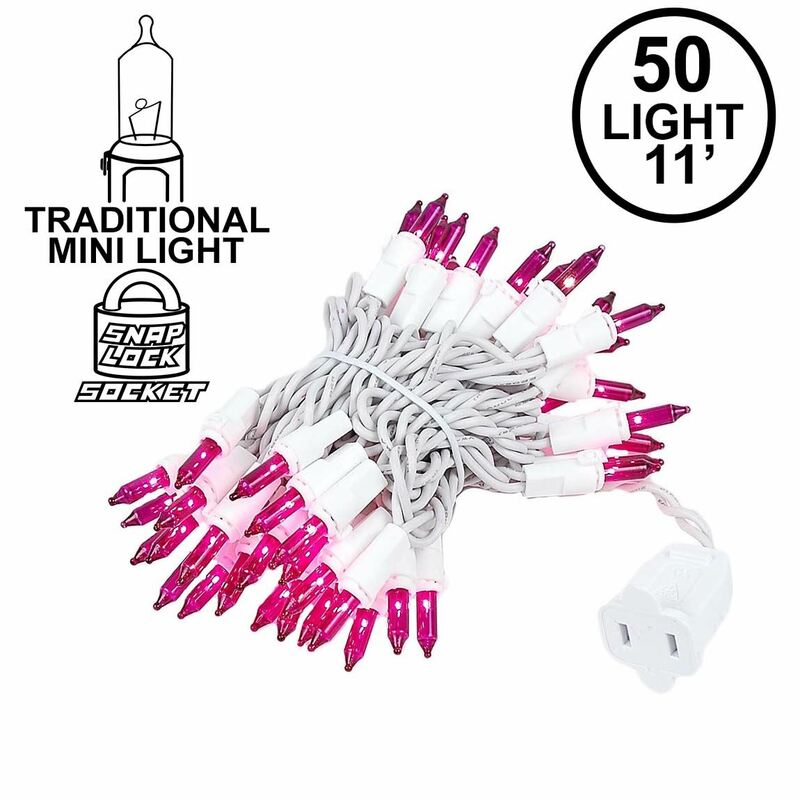 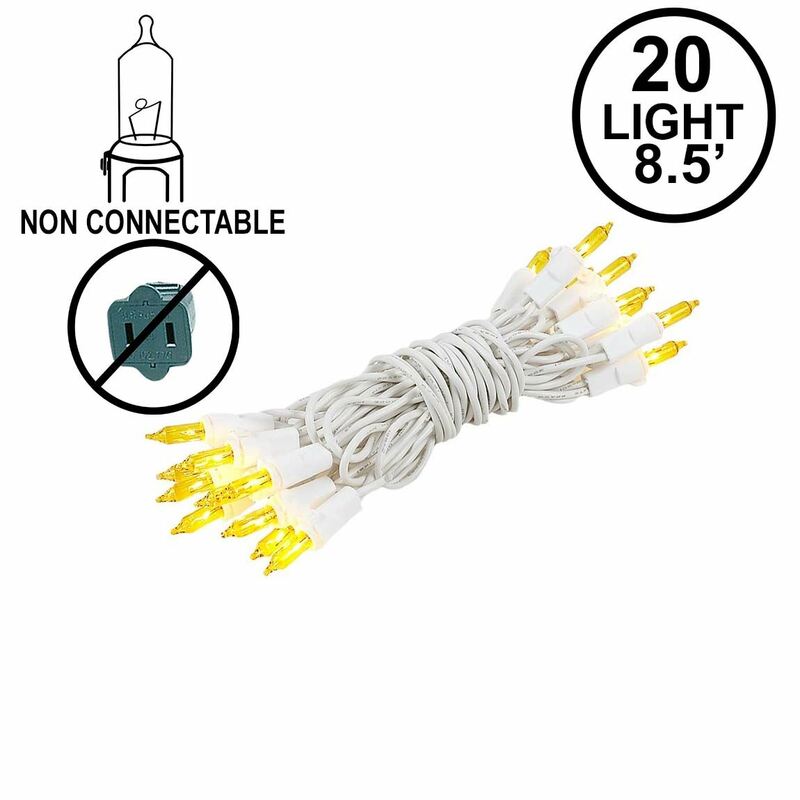 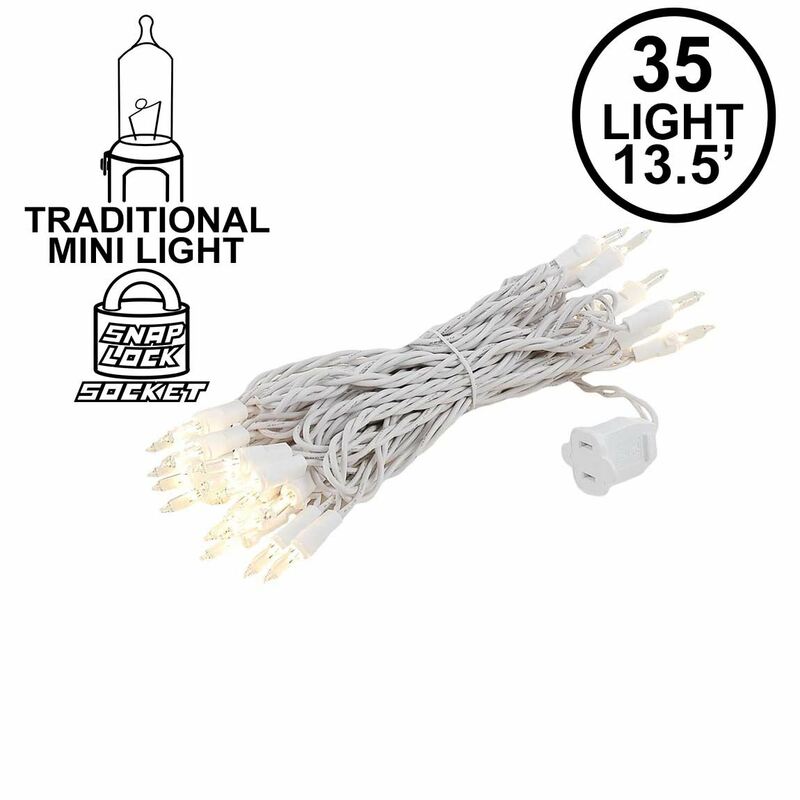 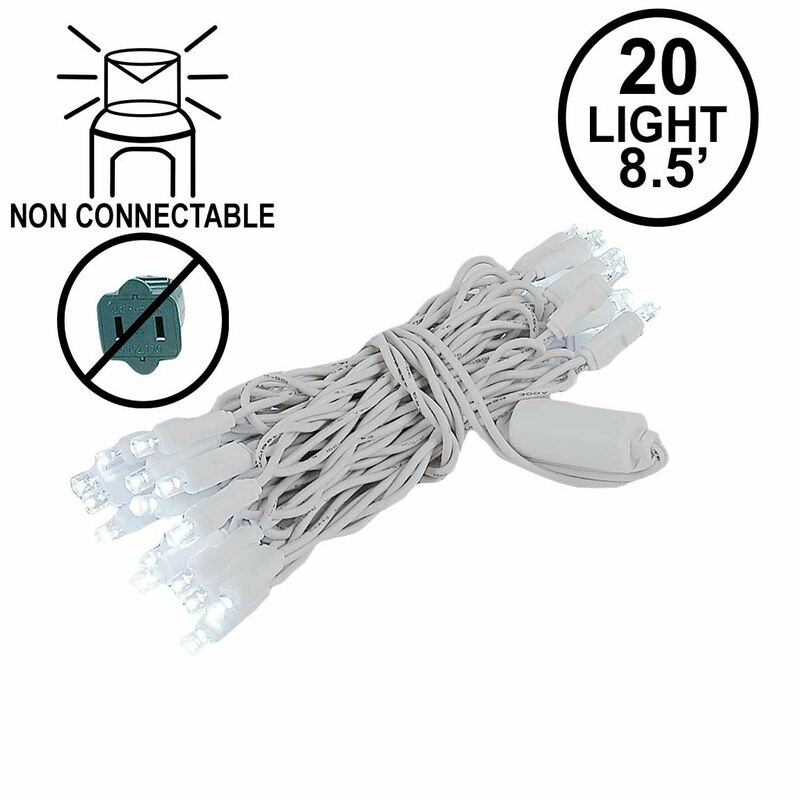 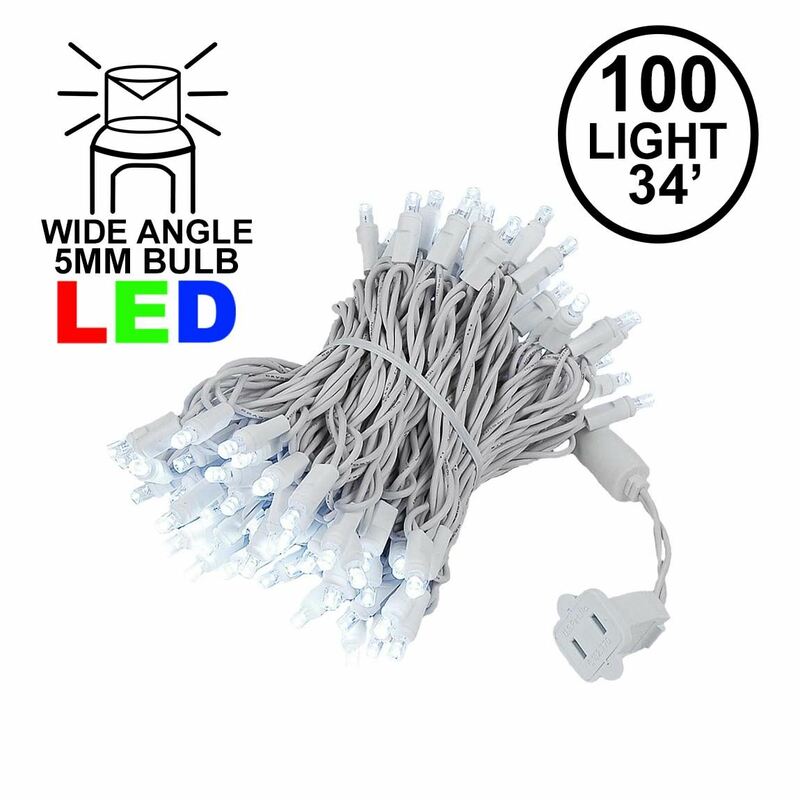 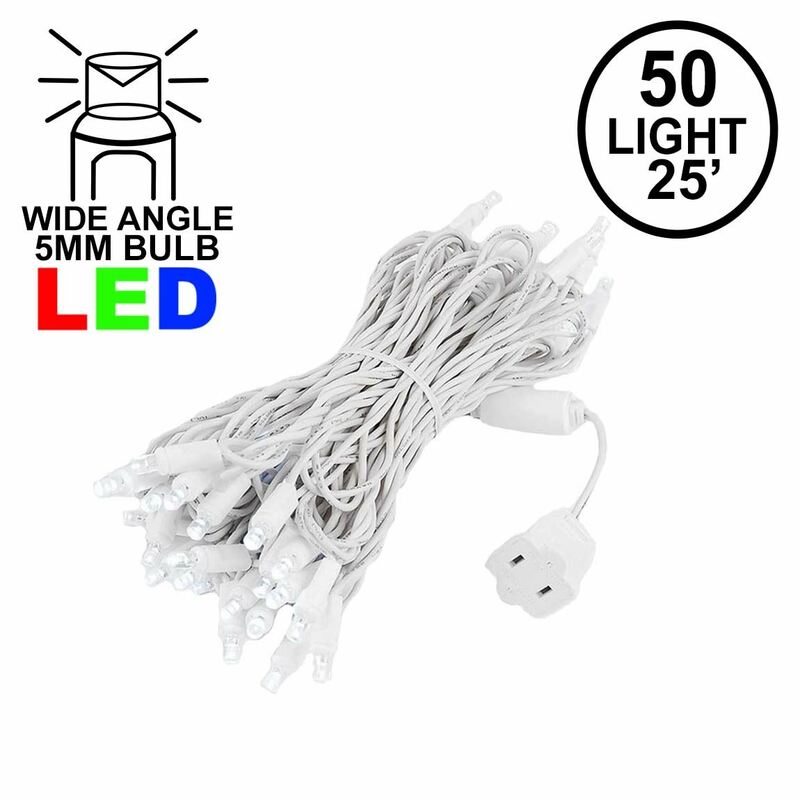 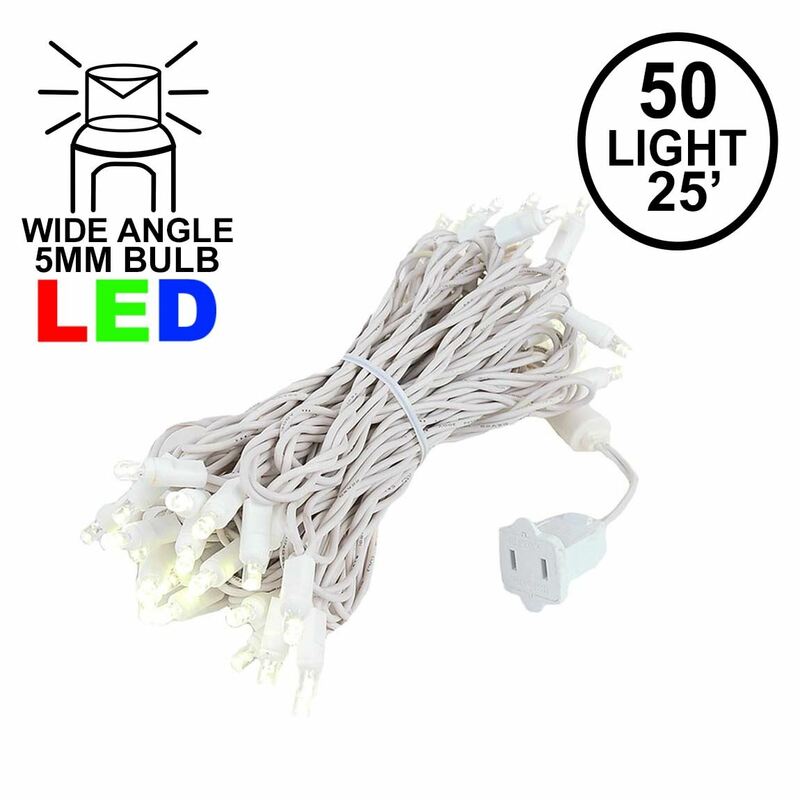 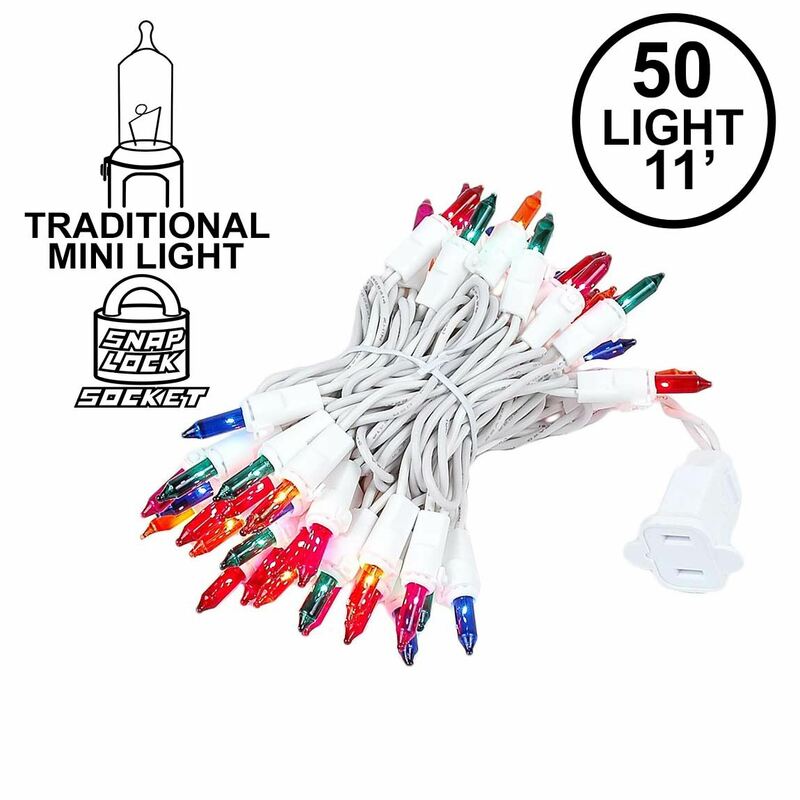 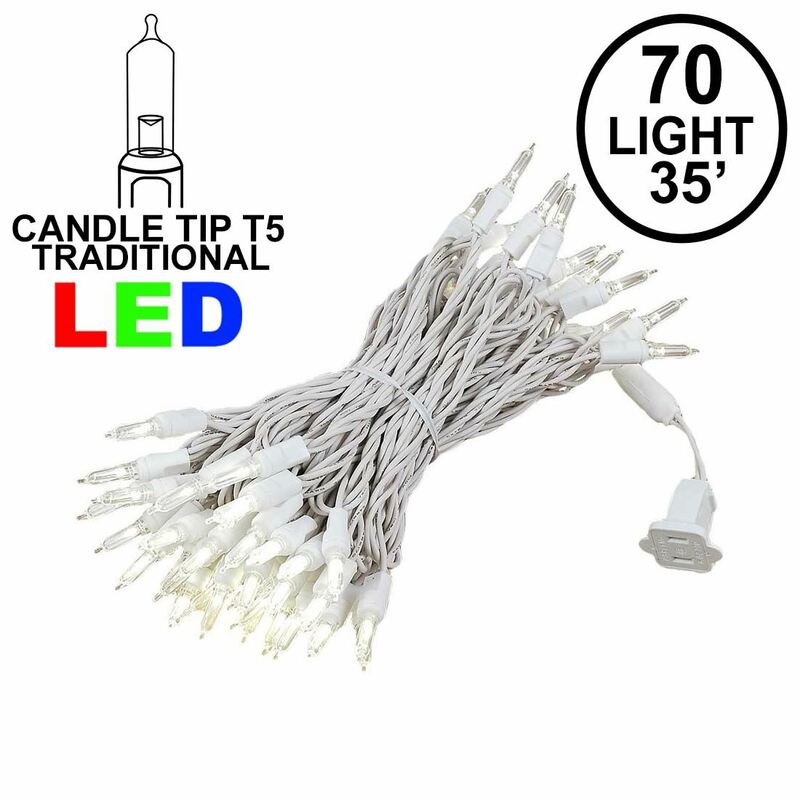 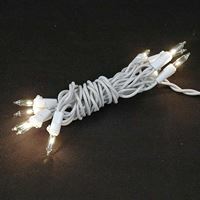 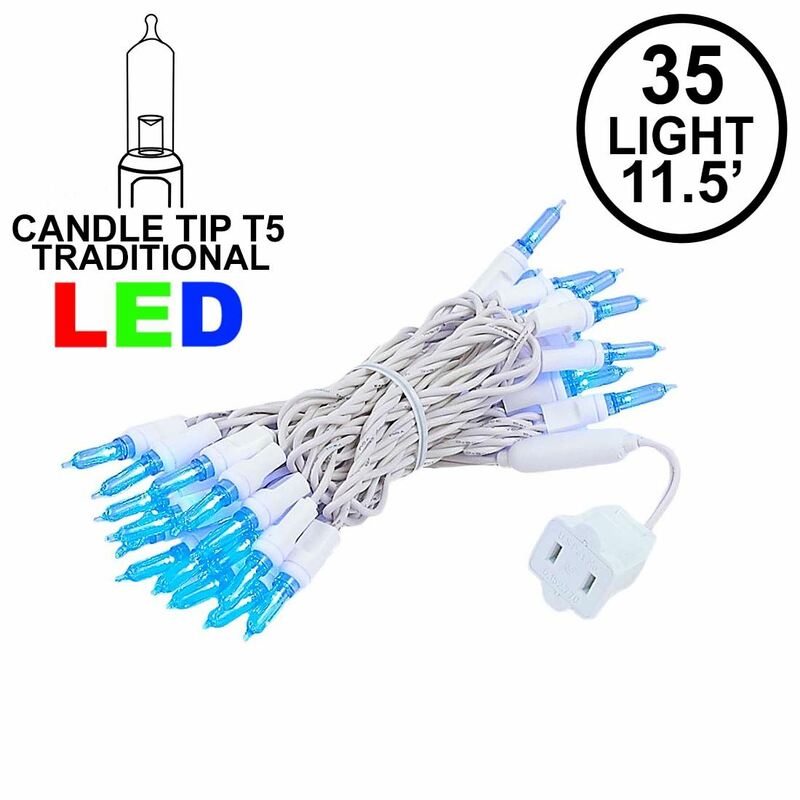 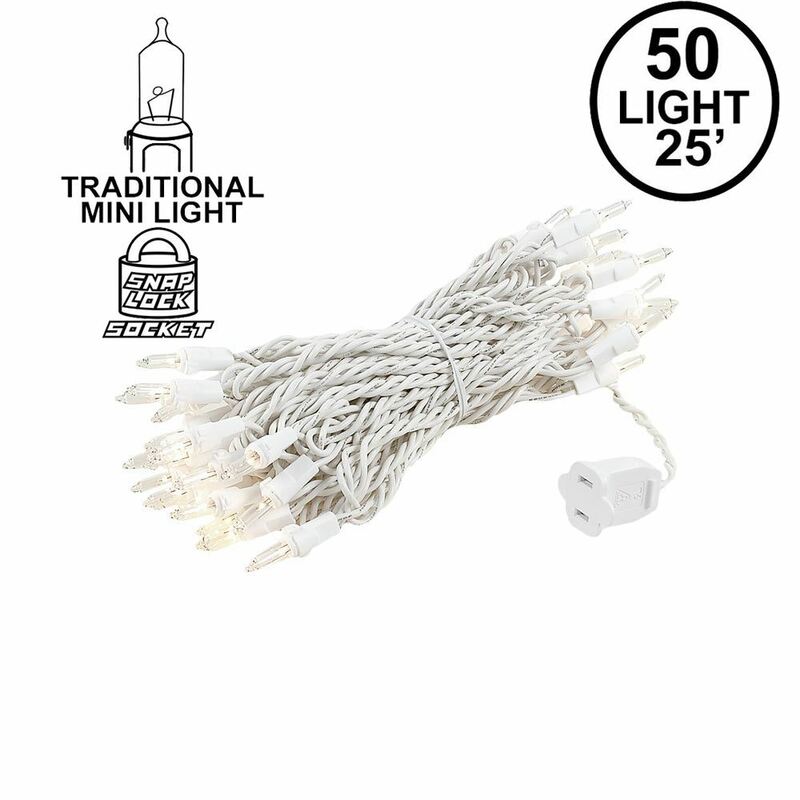 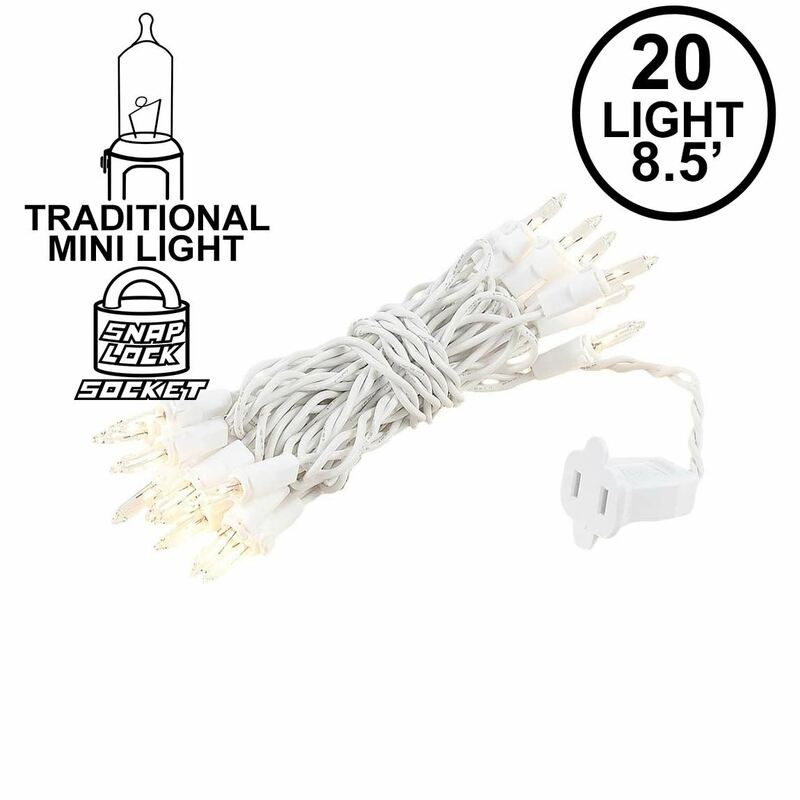 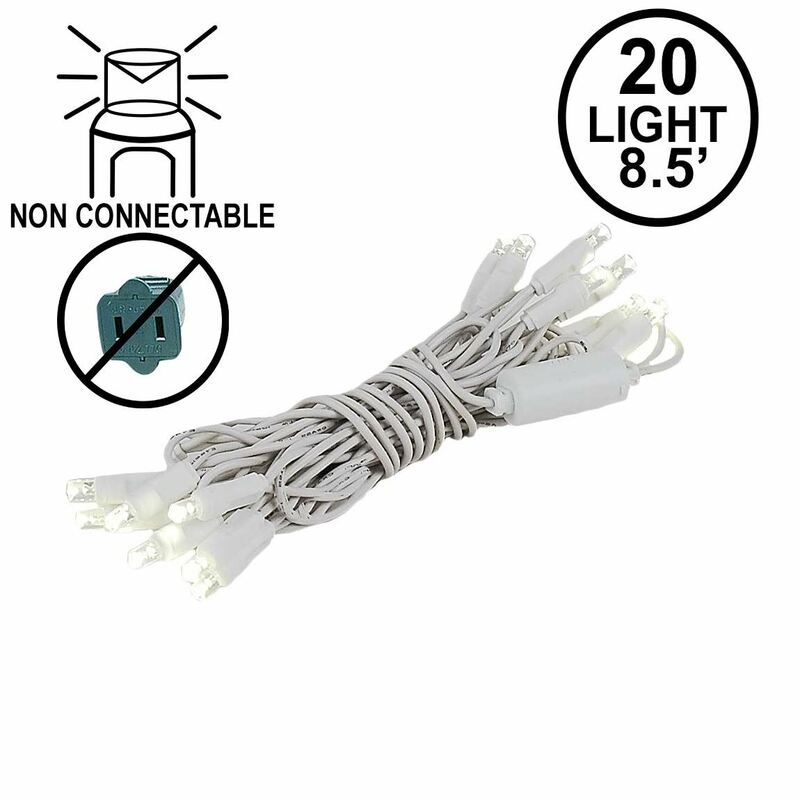 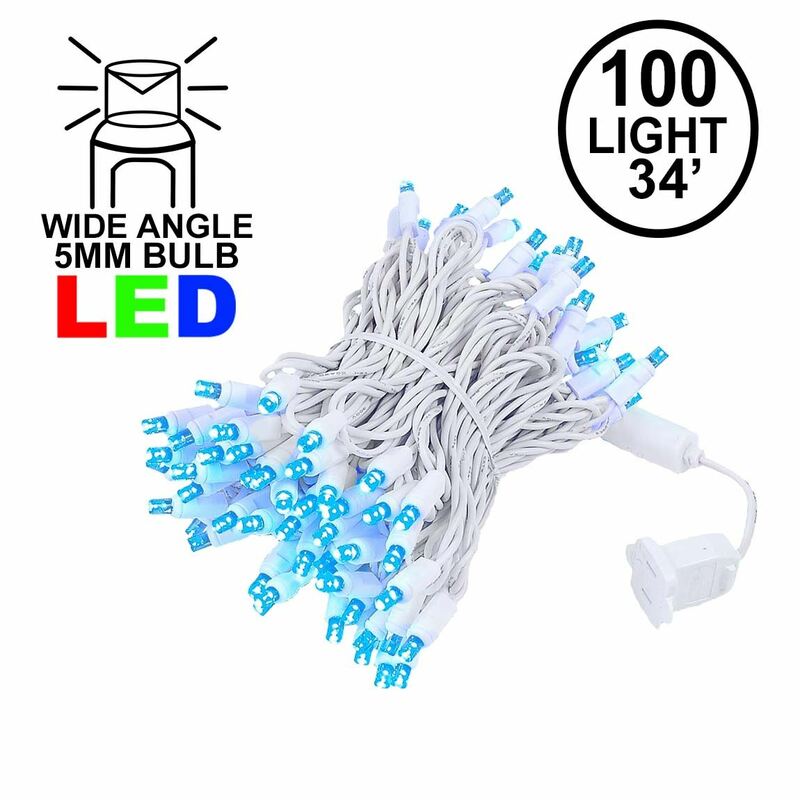 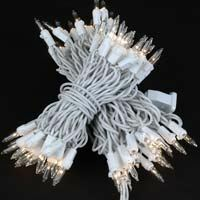 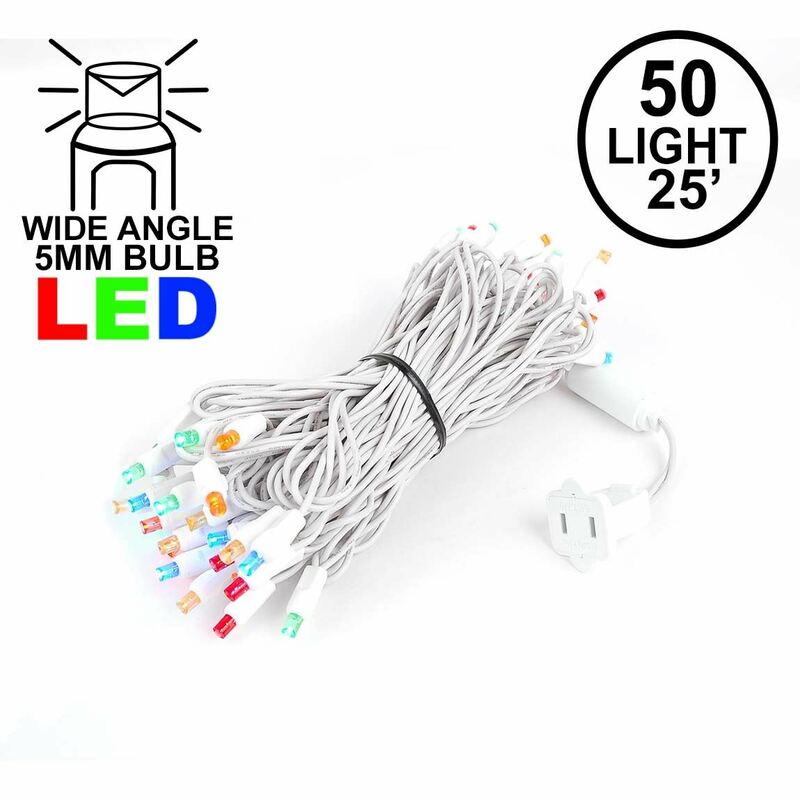 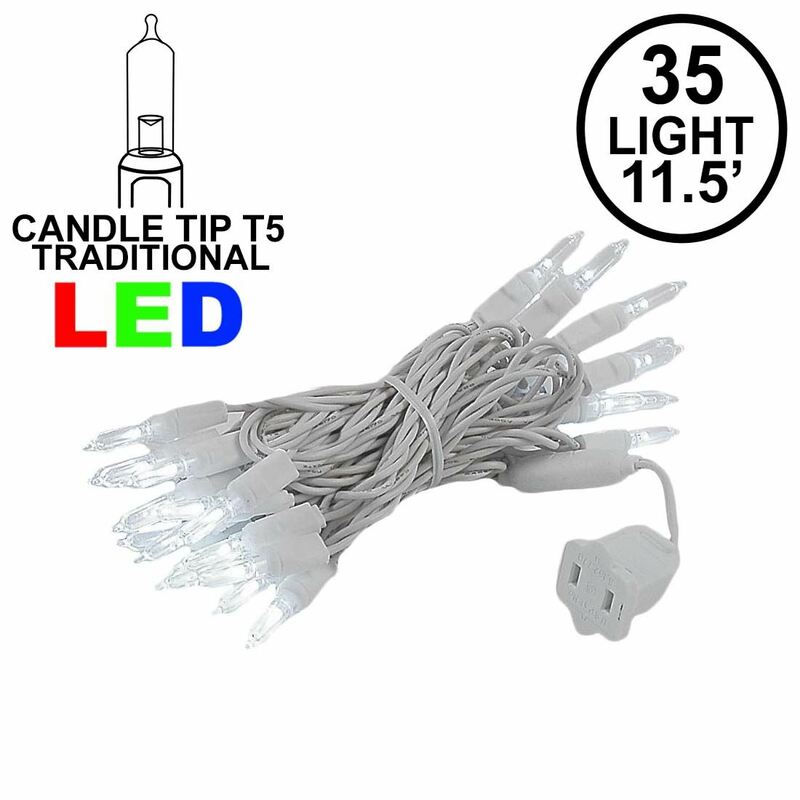 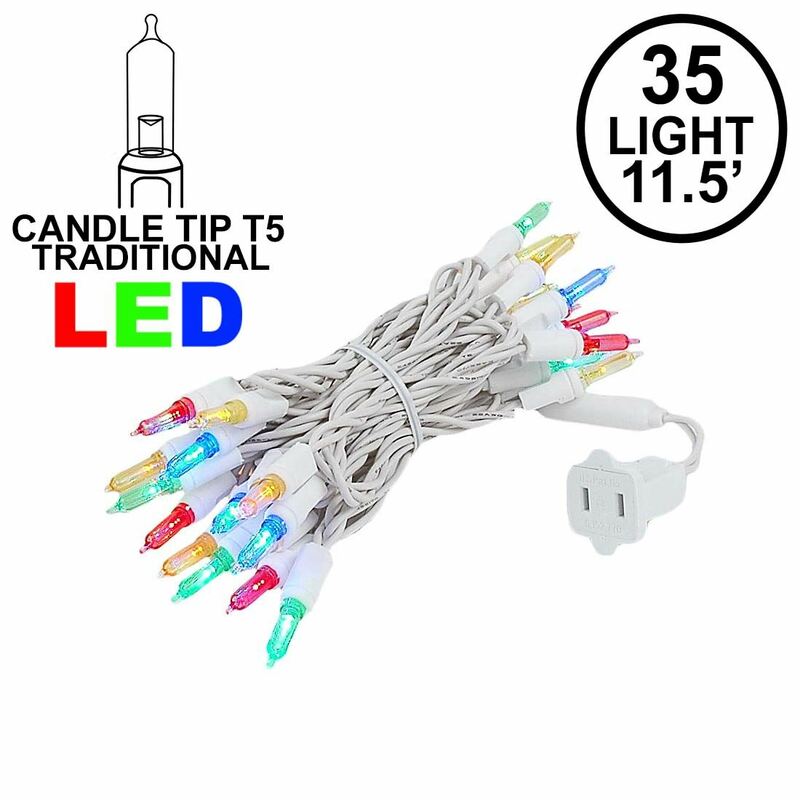 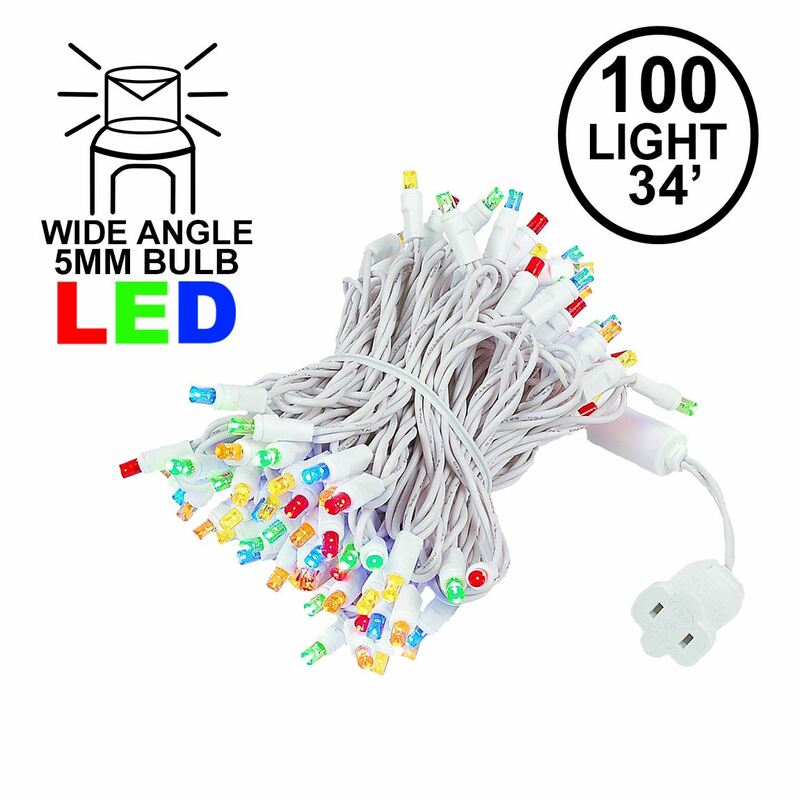 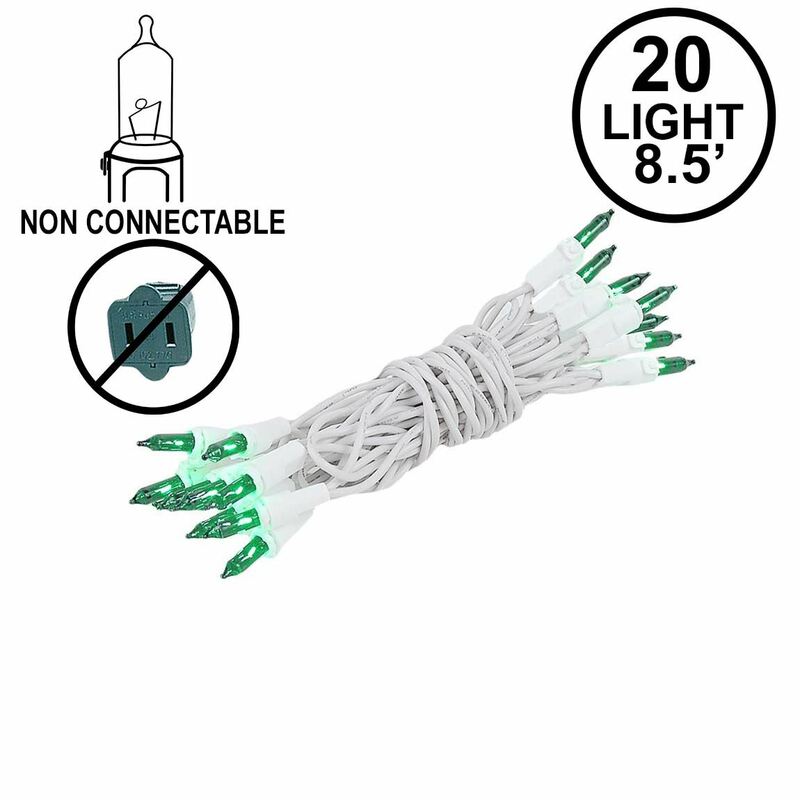 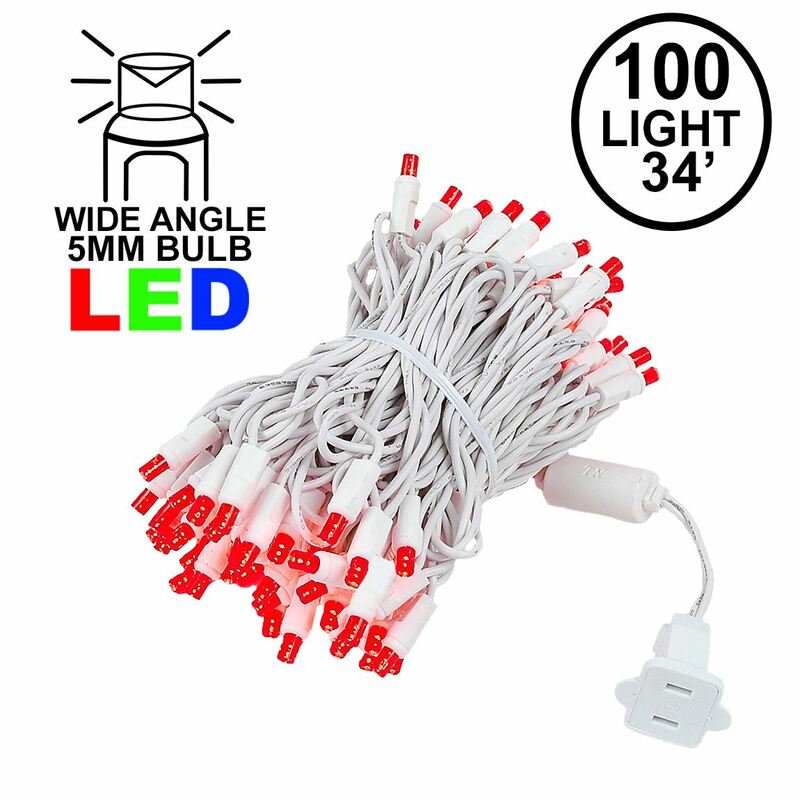 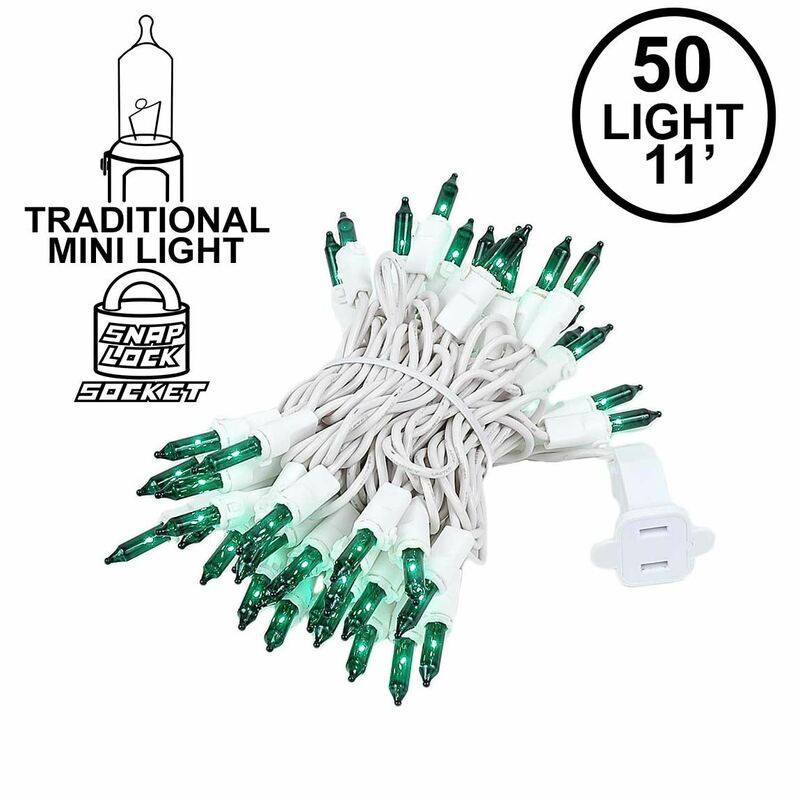 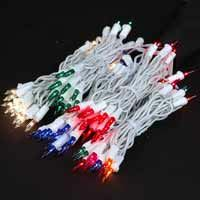 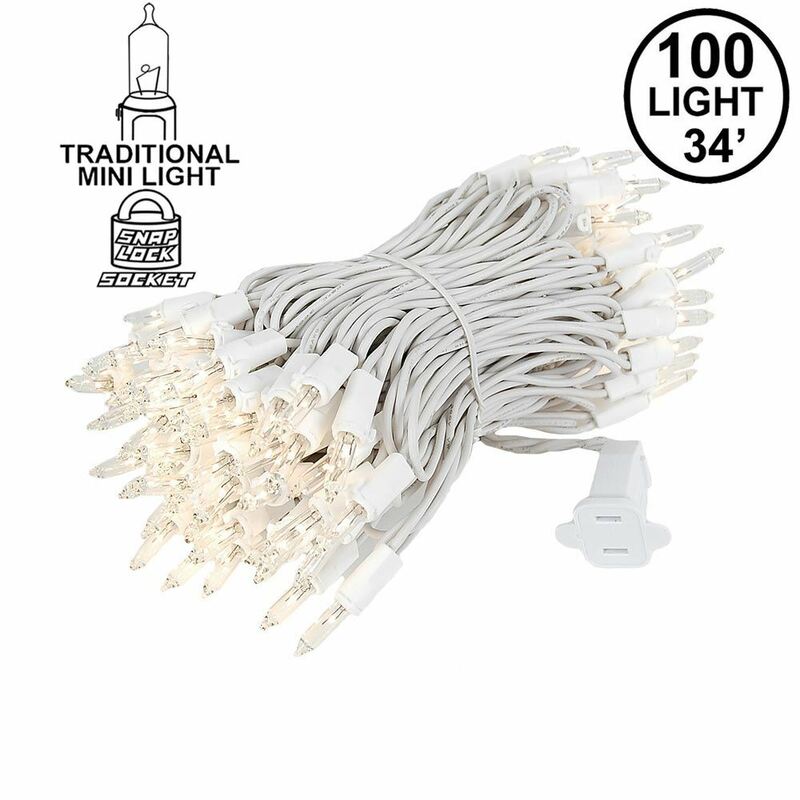 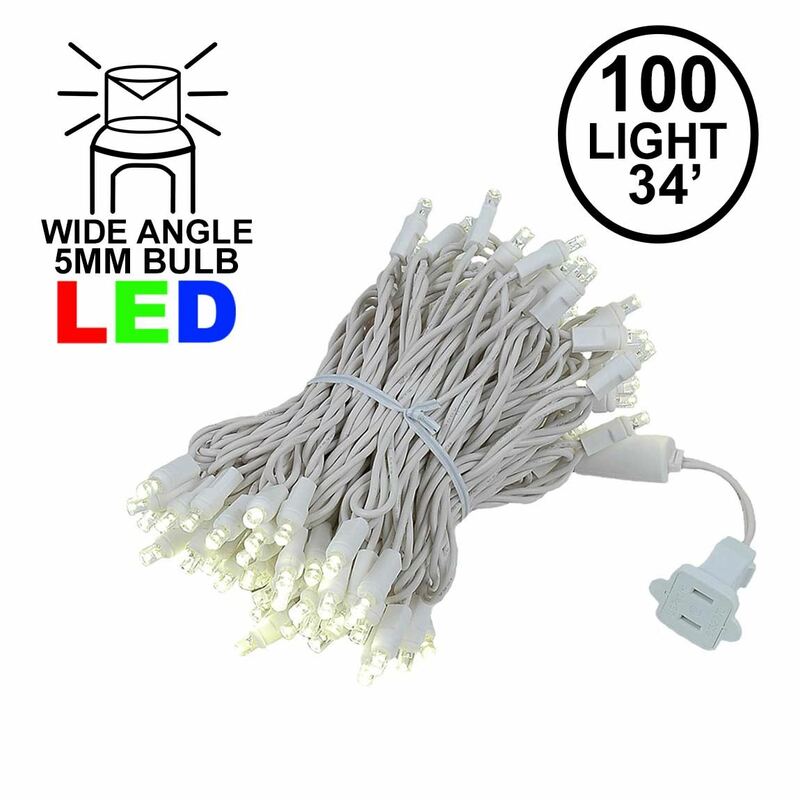 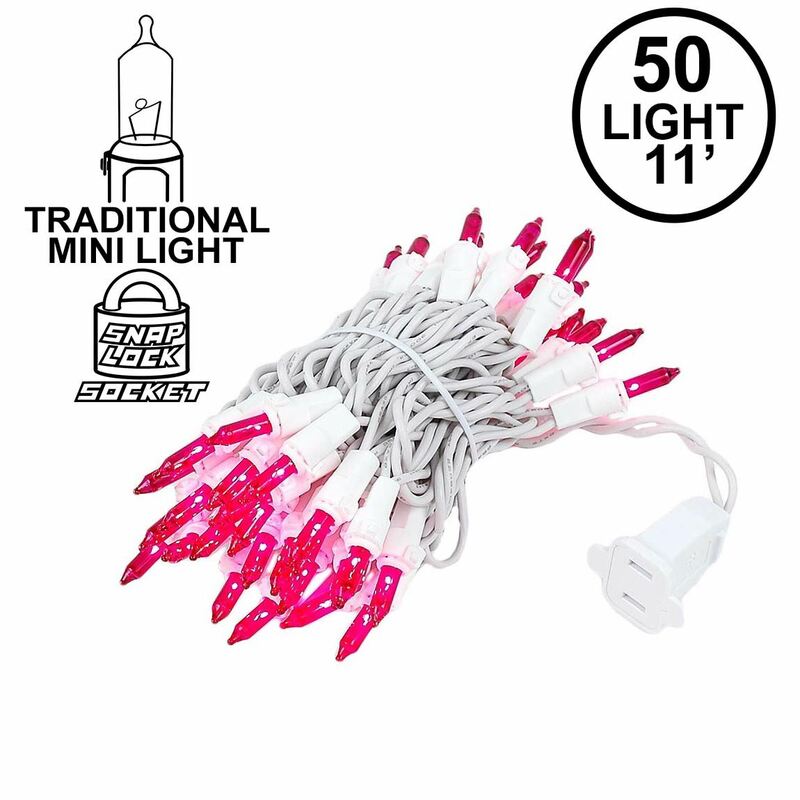 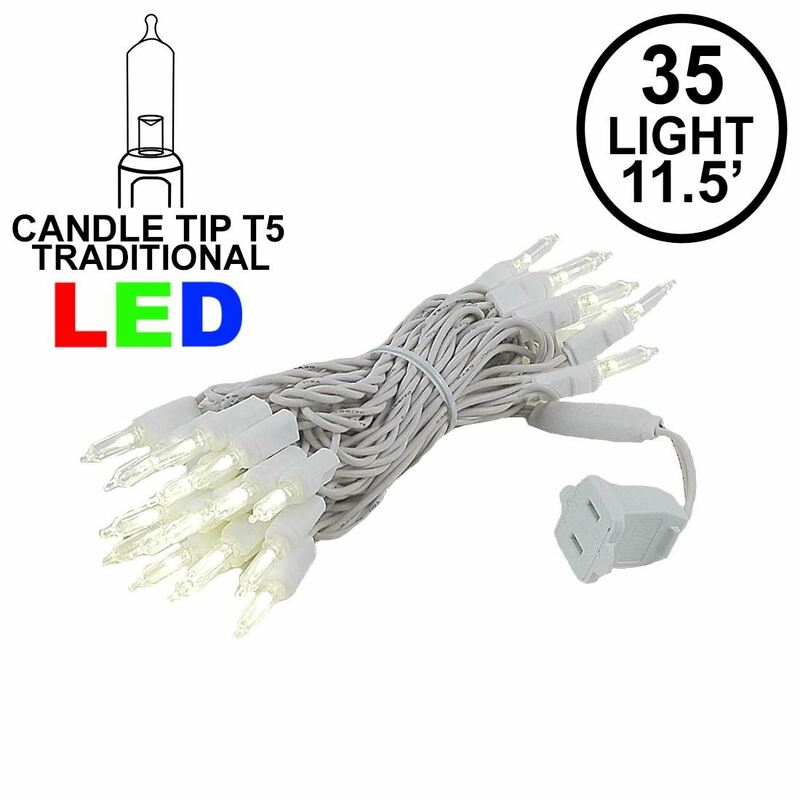 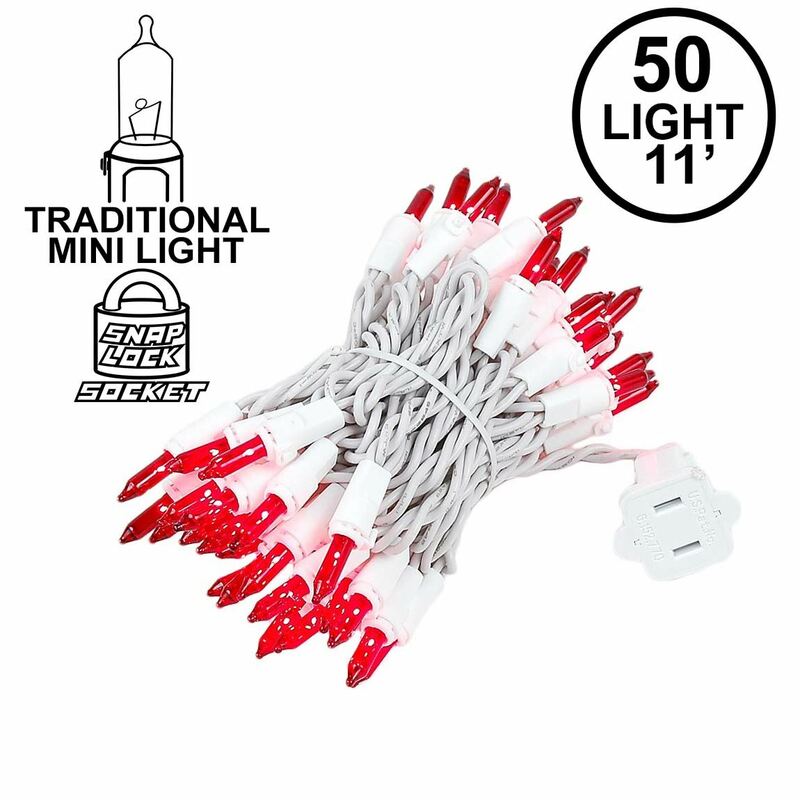 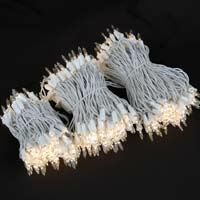 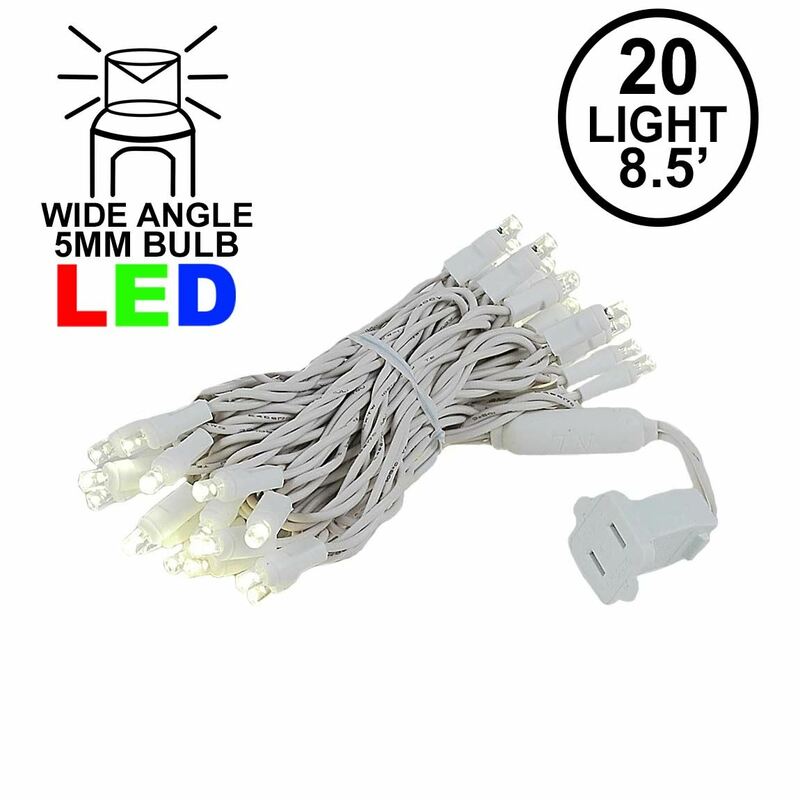 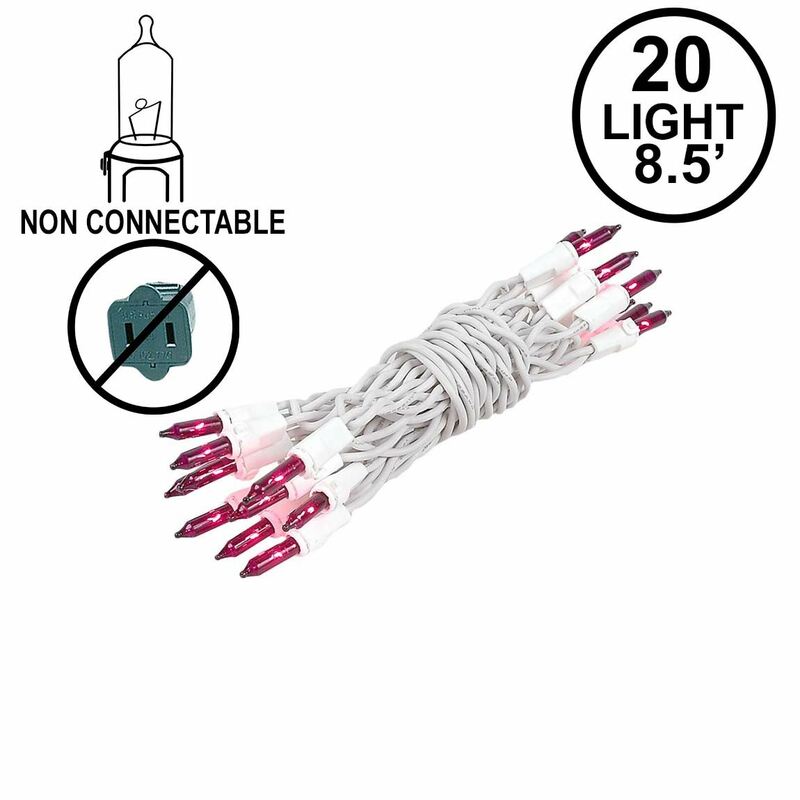 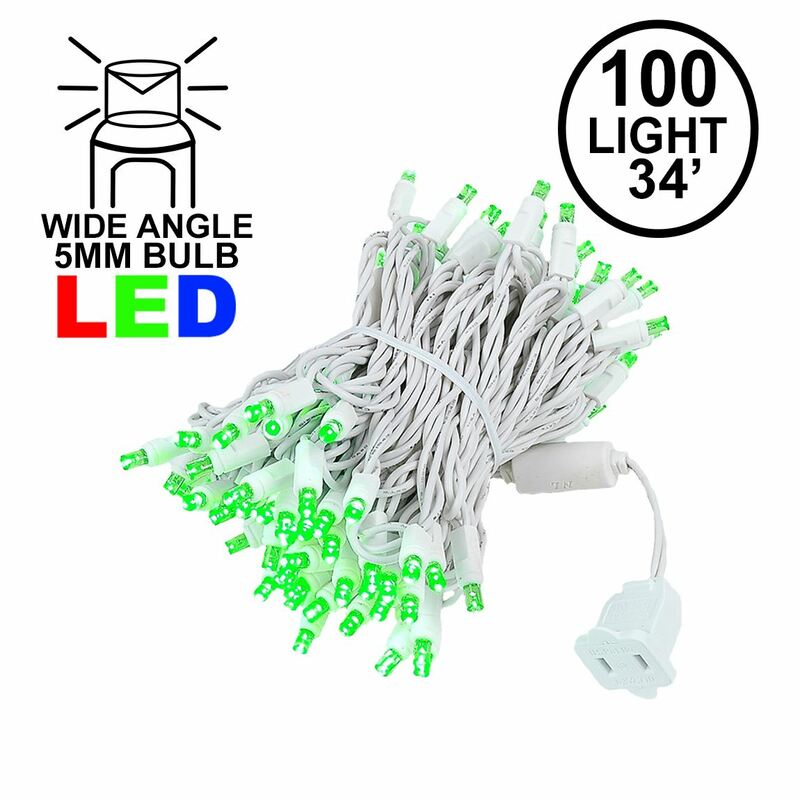 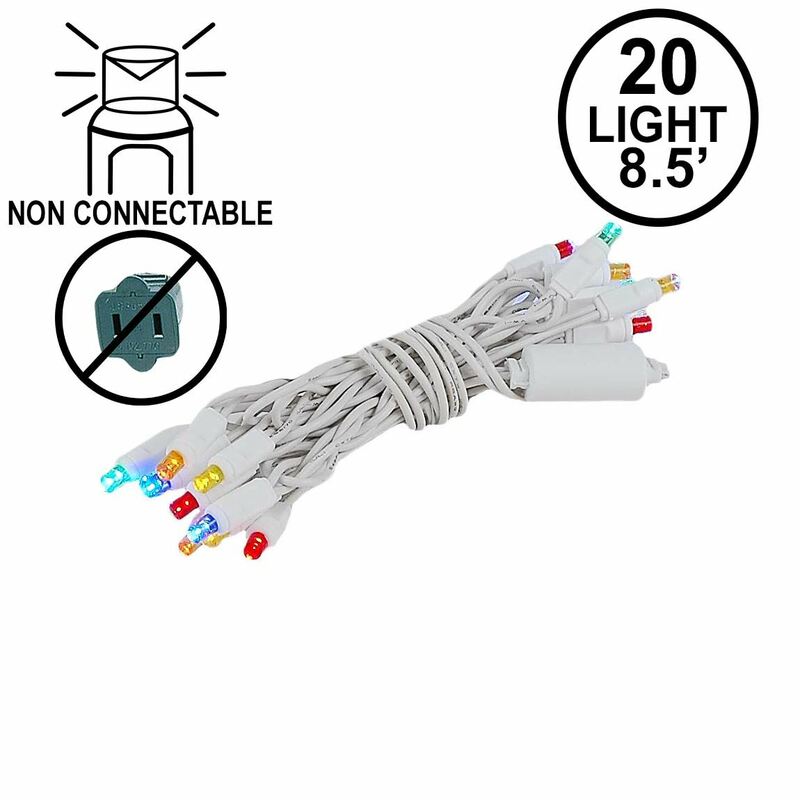 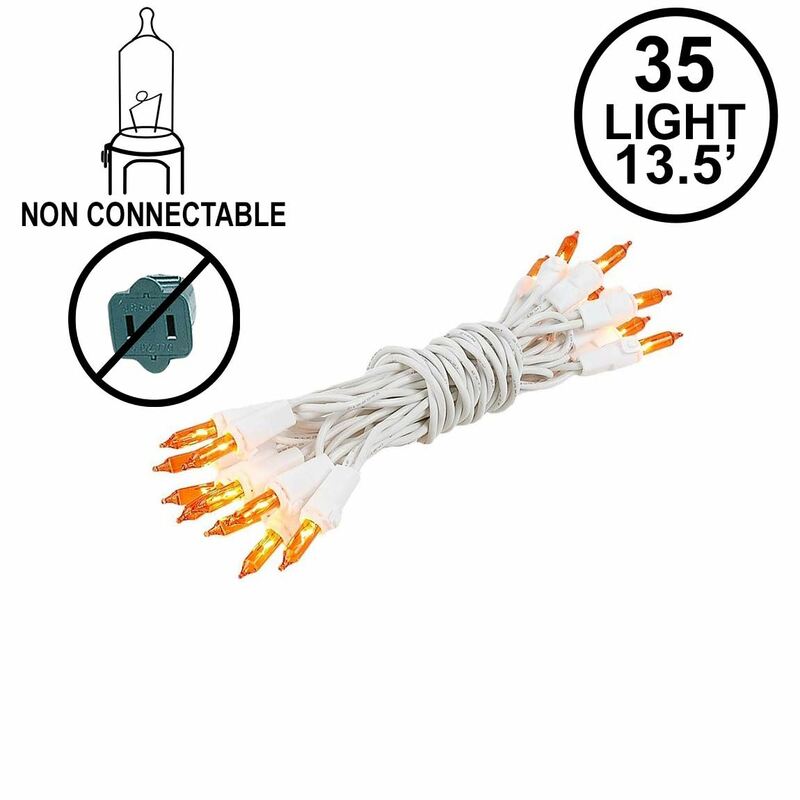 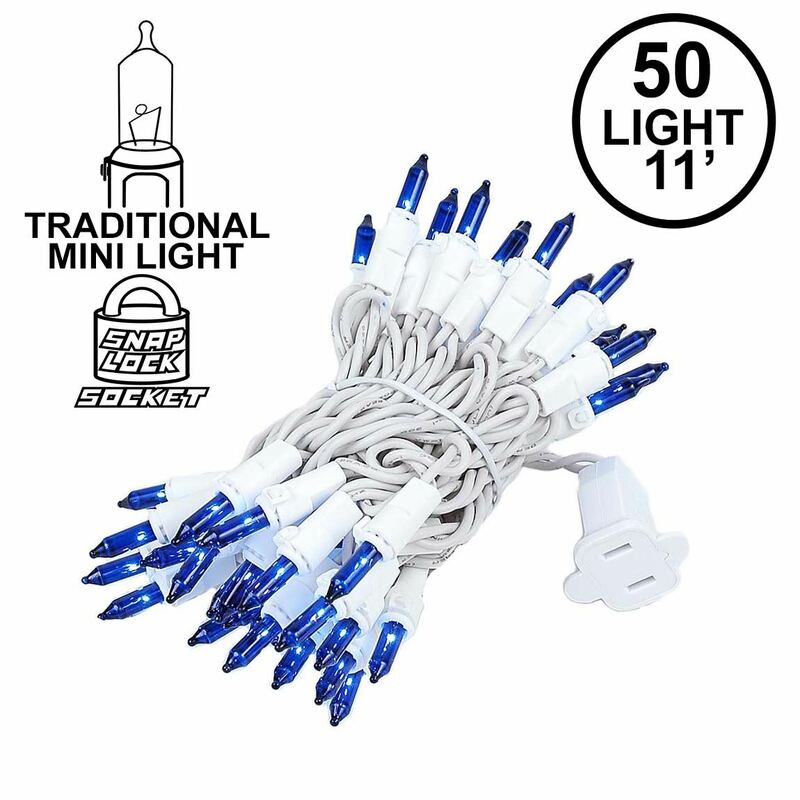 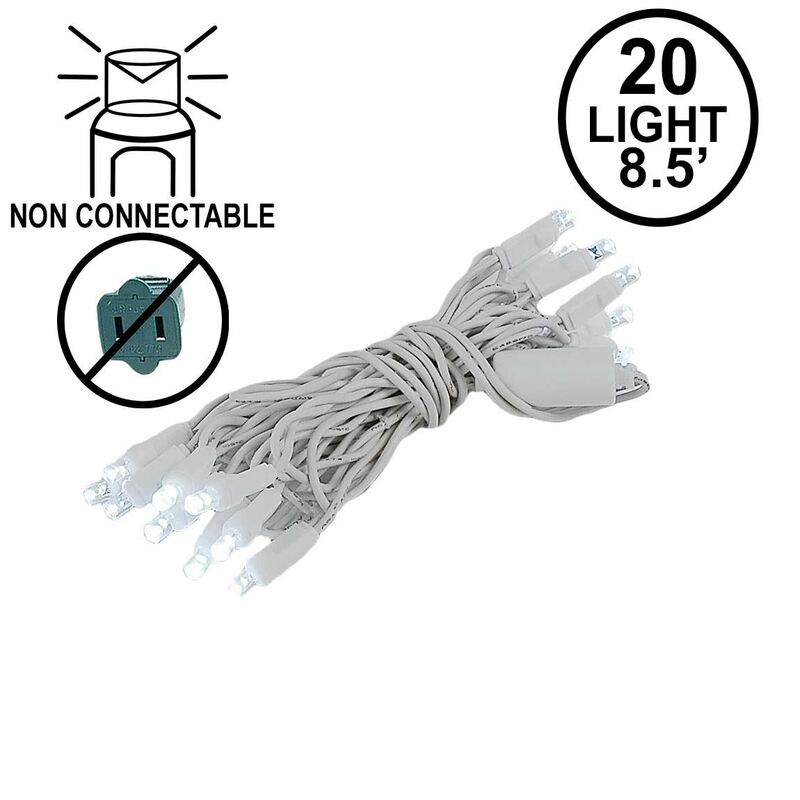 Choose mini Christmas lights on white wire for trimming a white tree or for lighter colored fences, walkways, and exteriors because the strands will be inconspicuous by day and luminous by night. 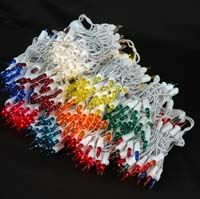 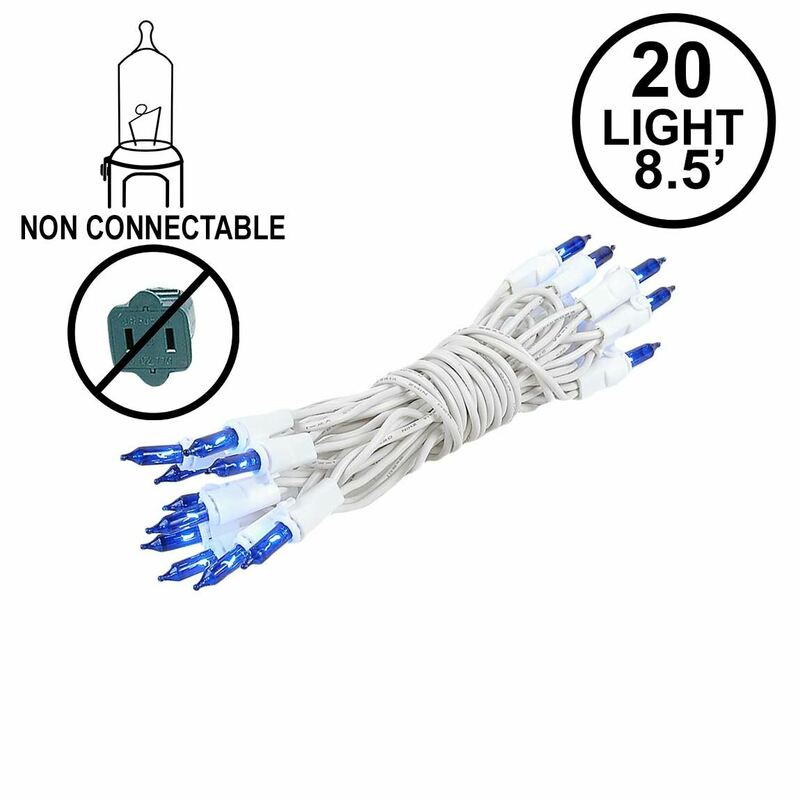 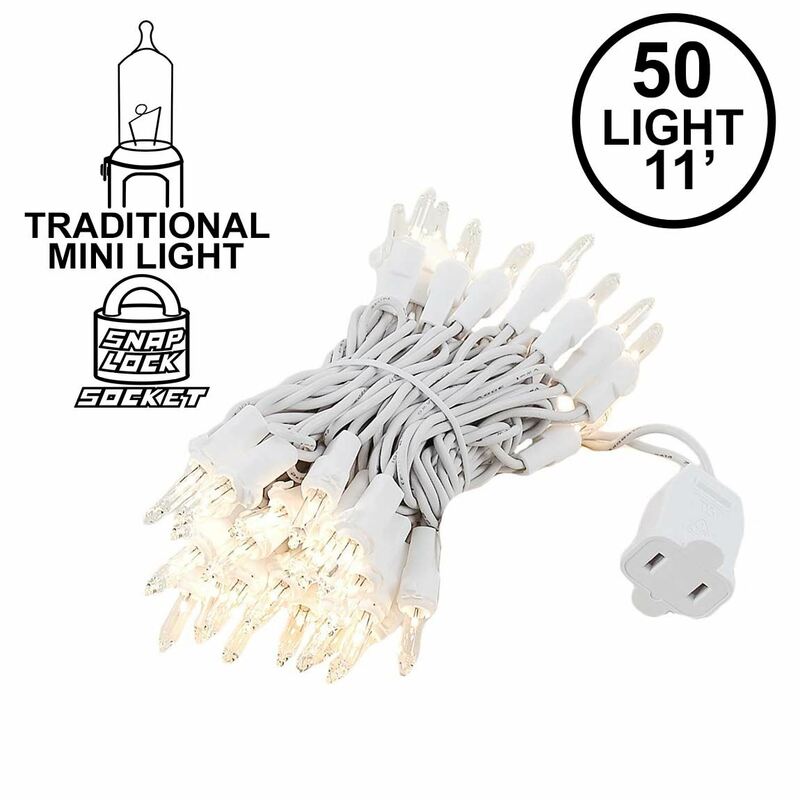 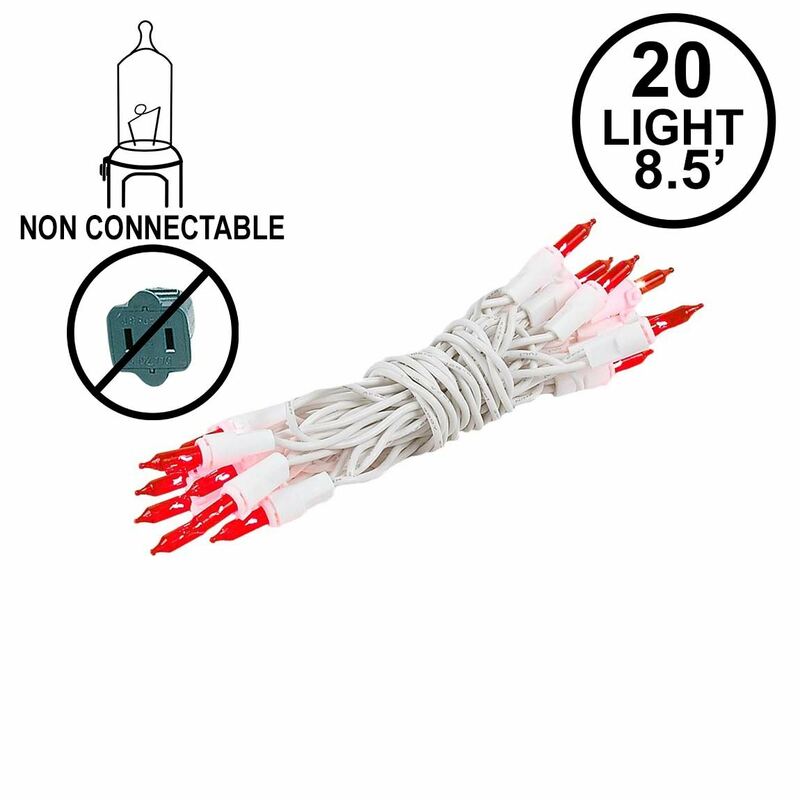 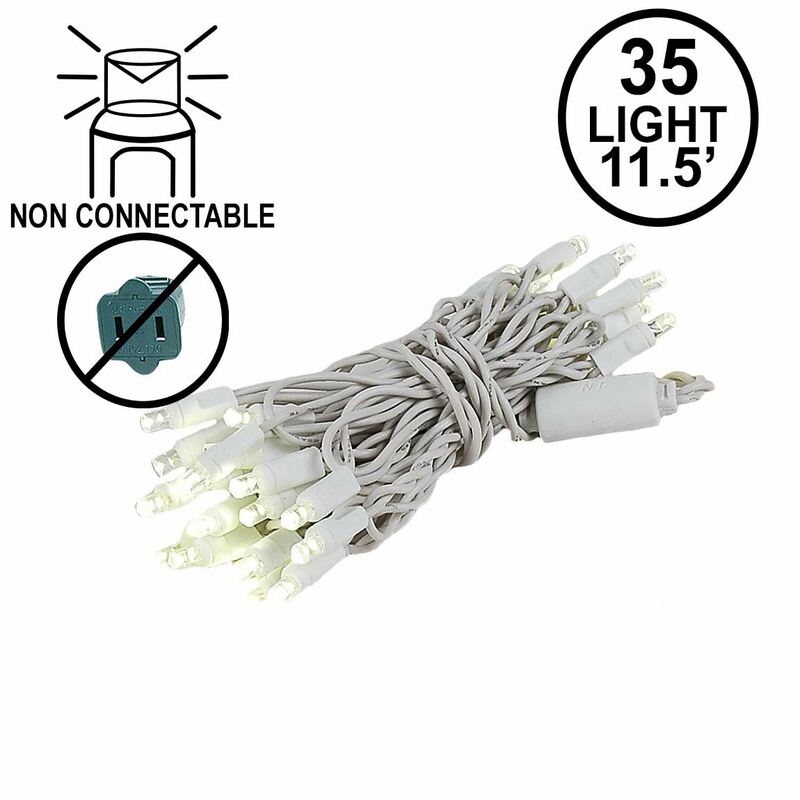 Patios, decks, and even outdoor tents at weddings and other events will look spectacular when strung with multiple glowing white wire mini lights, which can easily be hooked end to end. 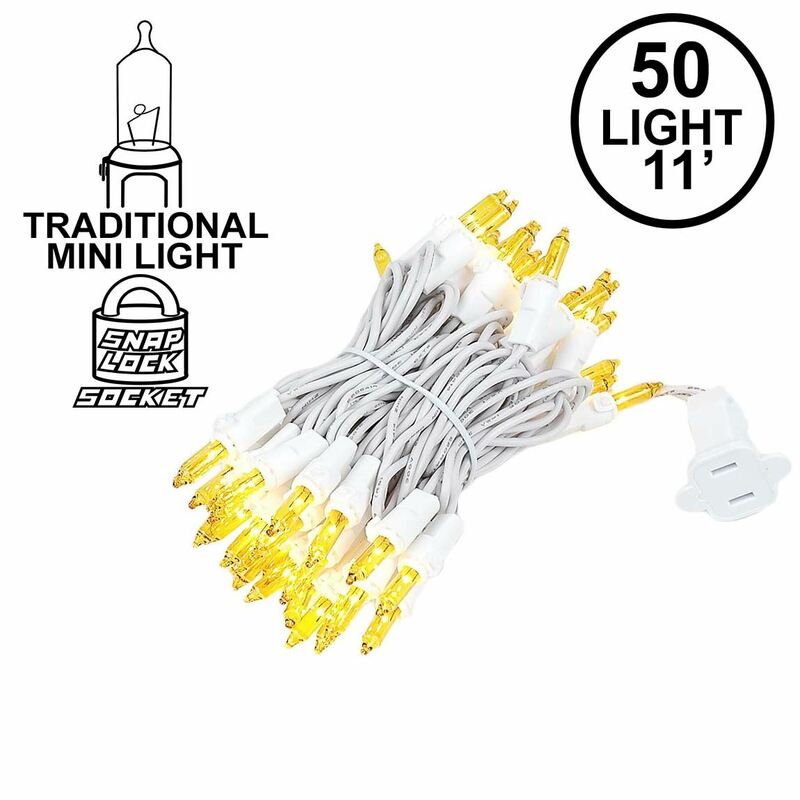 The 3000-hour bulbs and commercial grade snap-lock sockets make for a durable, versatile indoor/outdoor lighting alternative.